Wondering how to grow your business and looking for some inspiration? Thinking as to how some businesses grow so big and while some are still struggling to make the ends meet? 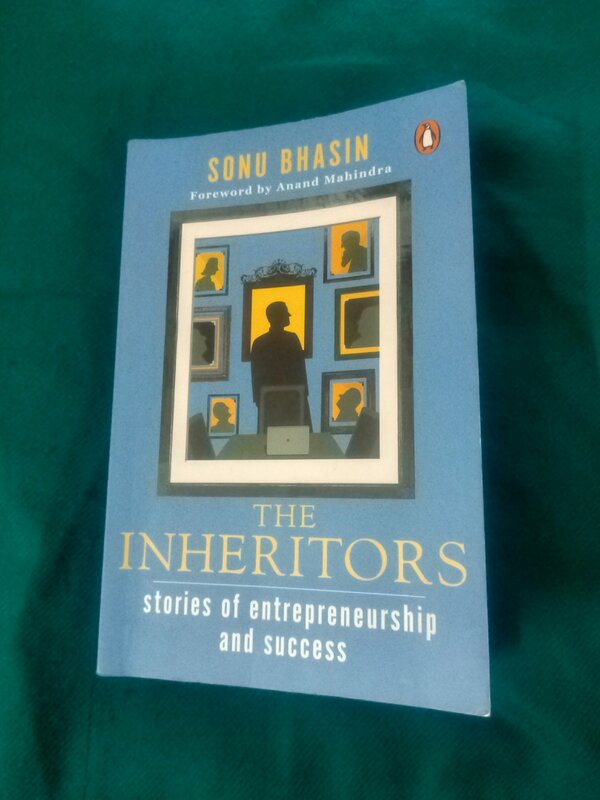 The Inheritors by Sonu Bhasin is just what you are looking for. Sonu Bhasin is one of the early and senior women professionals in the industry and has led businesses in senior leadership positions during her role as director, ING Barings; president, Axis Bank; and group President, Yes Bank. Currently, Sonu is an independent director of boards of well-known companies. She is the founder of Families and Business (FAB), a platform for family-owned businesses, and the editor of Families & Business magazine. Why did Harsh Mariwala leave his family business? Why did the Burman family quit the day-to-day operations of Dabur? How did the Dhingras turn a collapsing business into India’s second largest paint company? The Inheritors offers a fascinating behind- the- scenes look at what goes on in Marico, Dabur, Keventers, Berger Paints, Select Group, Motilal Oswal and many more. The book focuses on culture, family politics, ego battles, business rivalries and a lot more. And then, of course, there are the inheritors themselves- some take the businesses to greater heights while others lead them to doom. Sonu Bhasin has chosen storytelling method while writing about the inheritors of the so-called big business houses and brands as we know them today. The story telling method makes the book very interesting and highly relatable. It is very interesting to know that the inheritors, who are believed to be born with a silver spoon, also need to work hard and face a lot of challenges to reach where they are. Success doesn’t come easily to anyone. Even the big companies who have reached the skies of success today have to start from a scratch and had to go through several hardships from various fronts to be where they are today. I found the book very inspiring and gripping from beginning to the end. Even while talking about the details of financial aspects of the family businesses, the book doesn’t lose the interest of the reader. Reading about the personal lives and interests of the inheritors of the family businesses, their ambitions, passions and dreams while dealing with the various obstacles that they had to confront, like Amit Burman’s dream of establishing food related business and how he had to work his way through in converting Real Fruit Juices and Lite Bite Foods into big profitable brands has highly inspiring and motivating. The book also brings into light some aspects of feminism though in extremely subtle ways when the author talks about how the females of the families of the family businesses were not given any role in the council and even the profit sharing of some companies. 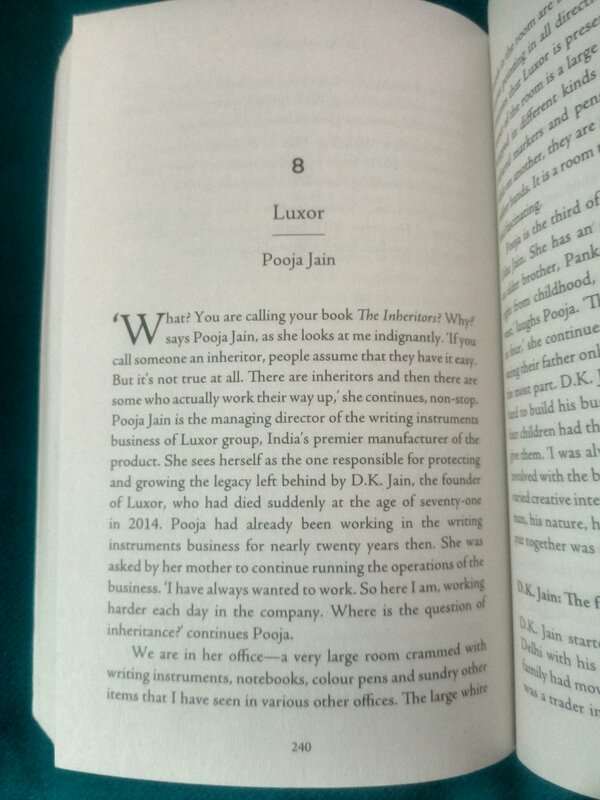 At the same time, there is the story of Pooja Jain from Luxor group, who questions the term “inheritors” itself and brings in to light how each day she has to work hard and has dedicated herself in the service of the company. 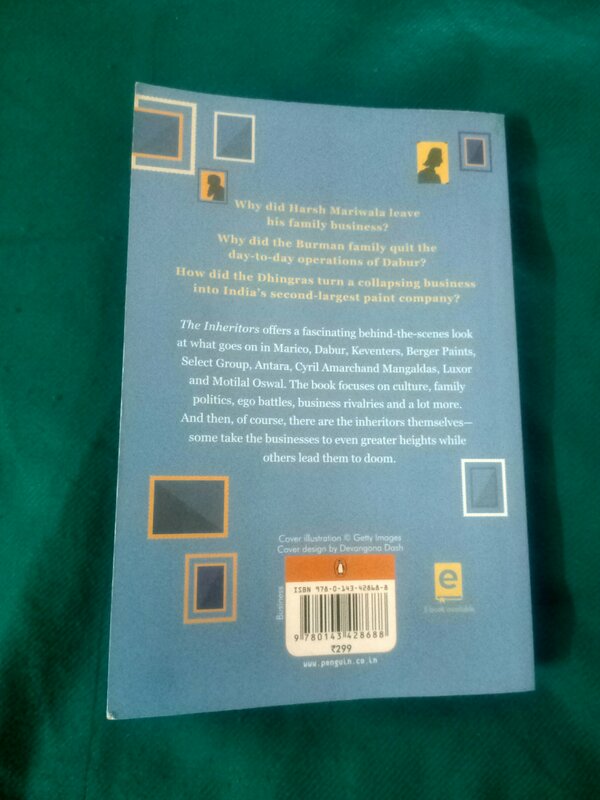 To conclude, the tight grip on the narrative and the story telling medium combined with some of the most fascinating stories of the people who took the reins of their family businesses in their hands and have not only been running it successfully but have also led them to greater heights, makes “The Inheritors” a worth read. I was given a copy of the book by Writer’s Melon for an honest review.